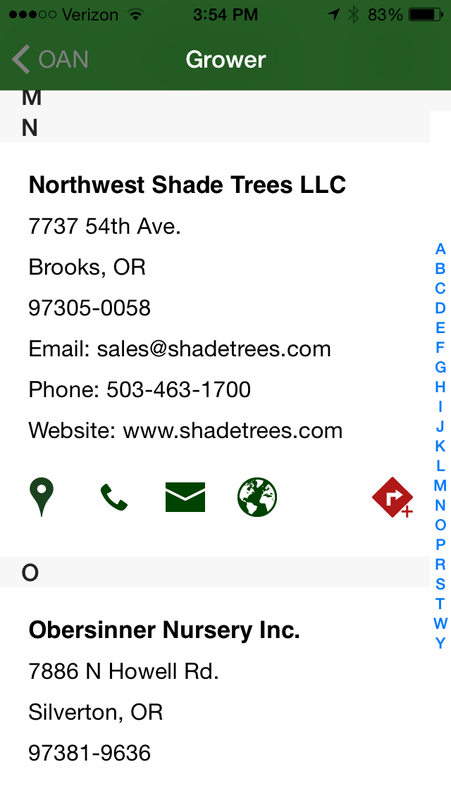 The Oregon Association of Nurseries (OAN) has introduced a new app for iOS and Android devices that will help nursery industry businesses connect with each other. 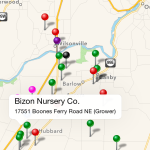 The OAN Nursery Map app is the new, digital counterpart to the OAN’s printed Wholesale Nursery Map. 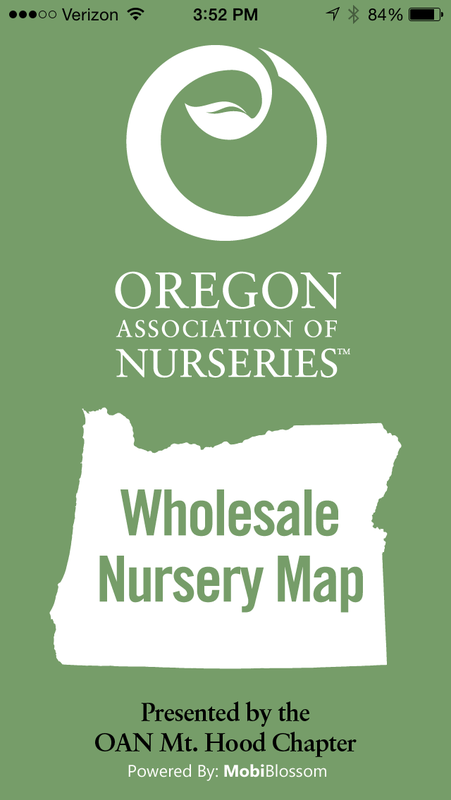 Buyers, truckers and green industry professionals have long used the paper map to find wholesale nurseries in the Portland area, the Willamette Valley, and greater Oregon. With the rise of smartphones equipped with GPS technology, creating a digital solution made sense on many levels. The iOS version of the app is available in the iTunes Store now, and the Android version is available on Google Play. Both versions are priced at $4.99. The app will help users find the most efficient routes between destinations. This will be especially useful for out-of-state visitors who are eager to see the state’s gorgeous plant material, but don’t know the lay of the land. They’ll discover a wealth of information about each grower, including what they are selling. At the press of a button, the user will be able to call nurseries and verify availability. “The app’s functionality provides nursery contact information and links to the OAN’s online Nursery Guide, which is a searchable directory of plants, products and services,” Ekstrom said. 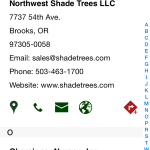 “So if a contractor is on a job site, for example, and needs to quickly find more plant material, a glance at the Oregon Nursery Map app will tell them which nurseries or suppliers are nearby. 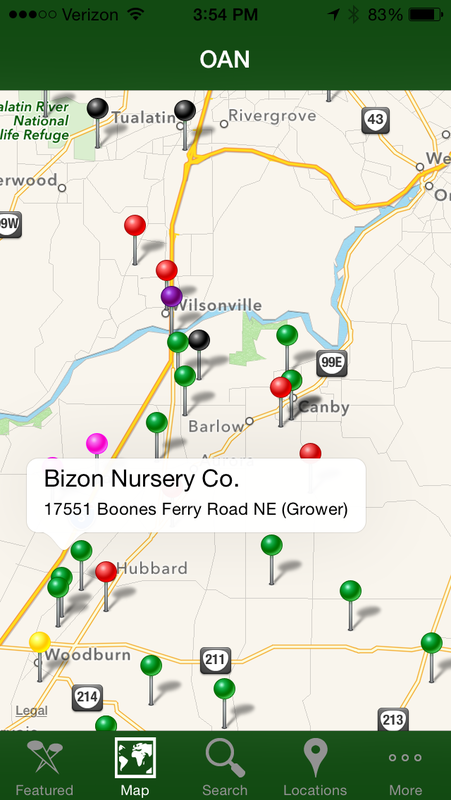 The Oregon Nursery Map app is a project of the OAN Mt. Hood Chapter to raise funds for horticulture student scholarships. Businesses will pay to be featured on the app. 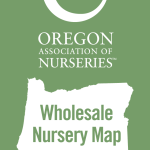 Currently, approximately 130 OAN member nurseries and suppliers are “pinned” on the map. The goal is to build that to 400. Meanwhile, the paper map will remain available and is still appreciated by many growers.